If you’re a festival DJ or an electro nightclub headliner, you’re going to be playing this track, plain and simple. 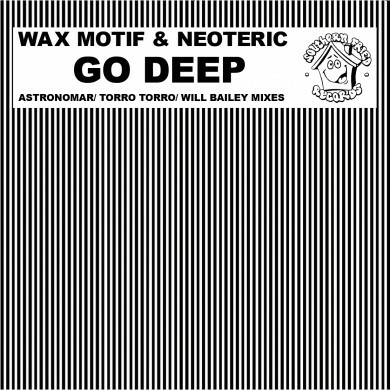 For their ‘Go Deep’ remix, originally by Neoteric (Canada) and Wax Motif (Australia), Torro Torro imports all of their sensibilities that make their songs great musically, and deliver an uptempo big-room electro track worthy of the world’s most powerful soundsystems. This Toronto pair is on a dizzyingly steep trajectory; all of their last six tracks have received huge support from EDM juggernauts like BBC Radio 1, Diplo, Dillon Francis, and Drop the Lime. And their summer tour-plan is wild: a date in Hong Kong next week, and appearances at Shambhala, Digital Dreams, WEMF, Bass Coast, and Stereo Terra. You can follow the gents and get up to date tour and release info here on Facebook.